Creatively Human is a podcast for online business owners and creatives, with conversations that dive deep into why we do what we do, the struggles and wins we face along the way, and how we fit it all into the kind of life we want to live. 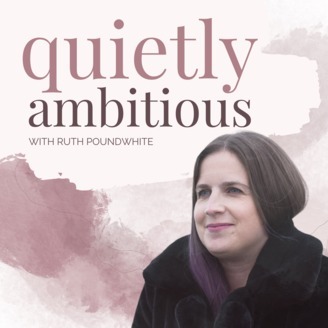 Plus a few solo episodes from me on the simultaneously rewarding and challenging experience of online business, creativity and entrepreneurship. My hope for this podcast is simple: that we can connect with each other as humans living life and doing business in a creative way. 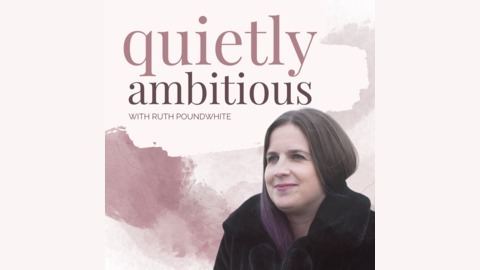 I’m Ruth Poundwhite, and I’ve been running my online business in some form since 2008. I’m all about creating and growing businesses that are not only profitable, but that truly fit around our lives and values. Find more at ruthpoundwhite.com. In this solo episode I talk about how to keep showing up for yourself and your business, even when it's hard. Showing up for me is essential to making this work, but it's hard when you doubt whether what you're doing works, when you doubt yourself, or when you suffer setbacks. So I talk about how I've learnt to navigate these feelings myself over the years. I'd love to hear from you on this one on Instagram or my Facebook Group. "Showing up for me means having this resilience, and having this faith, that even if things aren't working out now, they will work out in future"